I will let you in on a little secret: Of all the things this very blog had been giving me, fragrance is the category that I like best. Not to be ungrateful for all others, but fragrance is something that truly wipes away bad stuff in recent memory and provides a fresh perspective. Like today. 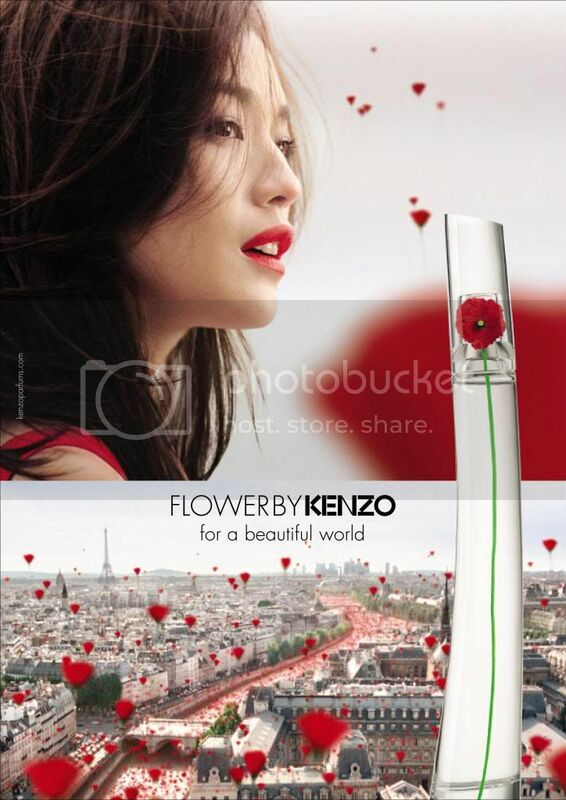 It’s my third day to wear Kenzo’s Flower, a scent I remember from the yesteryears. I don’t have a memory attached to it --- which was great. I could write new ones today. Do you know what I will remember with it? I will remember having an awesome day carrying out an online campaign for my cause. I will remember my crush giving me a healthy drink of peaches, oranges and bananas. I will remember being able to survive Barre3. I will remember coming home to a clean, homey apartment. I will remember watching reruns of Grey’s Anatomy while eating papaya and wheat bread with a smile in my face. I will remember exchanging stories of the highlights of the day with my colleagues. I will remember exchanging funny emails with my parents. I will remember looking at the dashboard of this blog and know in my heart that at that very moment, writing for it is what I should be doing.